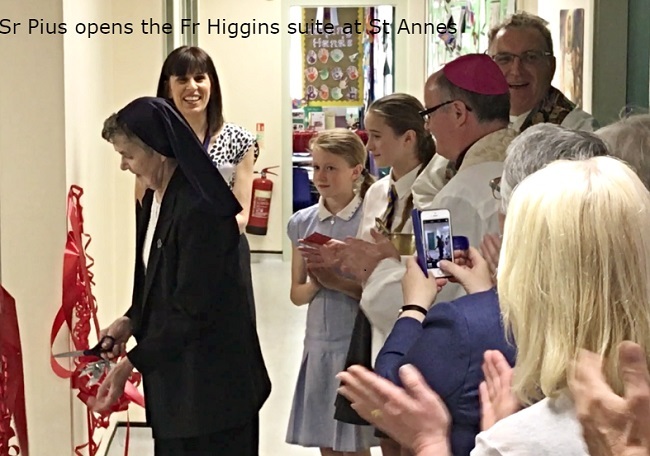 Link to photos & videos from the Prayer Service conducted by the Bishop to celebrate the life of Father Higgins at Saint Anne’s School and blessing of the new extension. As part of Harvest festival week the children at St Anne’s Catholic Primary School learnt about the work of CAFOD and took part in the ‘Big Share’. They began the week by having a visit from Mr Mike Monaghan who told the children about the important work that CAFOD did. Then on Wednesday 2nd October the children raised money for CAFOD by having a cake sale and a second hand, toy and book sale. All the children participated in this charity event and enjoyed being able to raise money for other children around the world who are less fortunate than themselves. 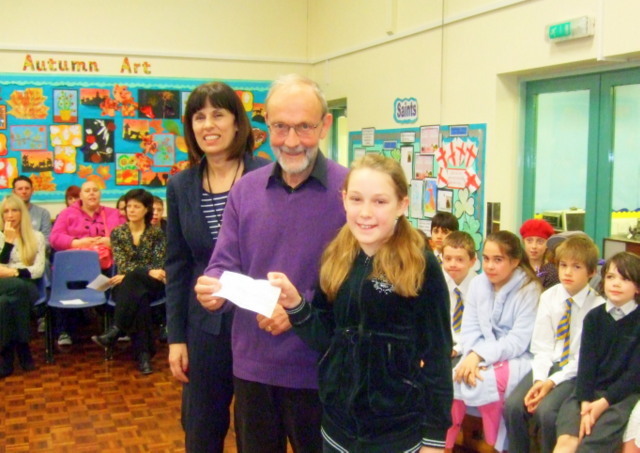 The total raised was a magnificent £250 and was presented to Mr Monaghan, on Friday 25th October, after a whole school Assembly. Catholic education provision continues in Buxton, from St Anne's Primary School, up to the age of sixteen at St Thomas More. 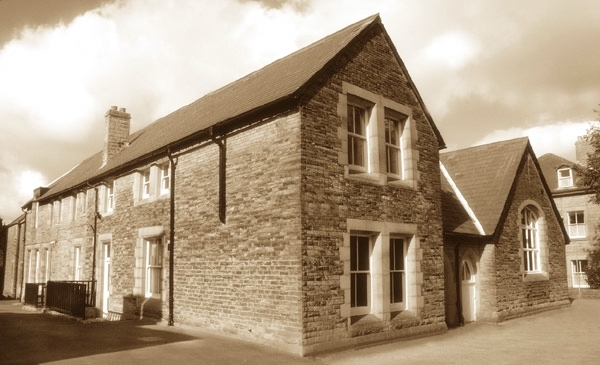 The buildings are on adjoining sites and it is presumed that children will progress through the Key Stages with the same peers, developing the same values as the schools share the same vision. 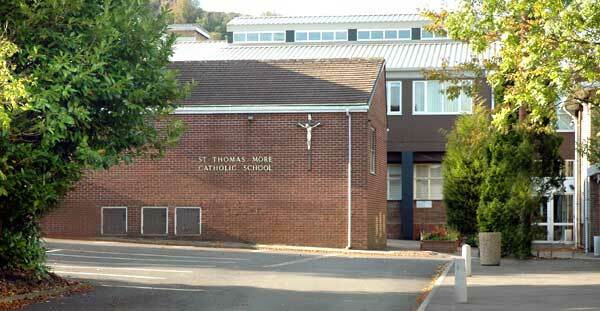 St Thomas More is a small comprehensive school with fewer than four hundred pupils. Having recently been awarded the status of 'Science College' a main objective is to extend links with the local community and form education partnerships. 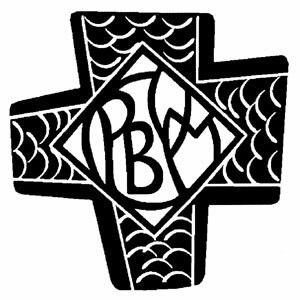 Although it prides itself on excellent examination results its primary role is to provide for the care and educational needs of all its pupils within a Christian environment as exemplified within the Mission Statement. The school has its own web-site. 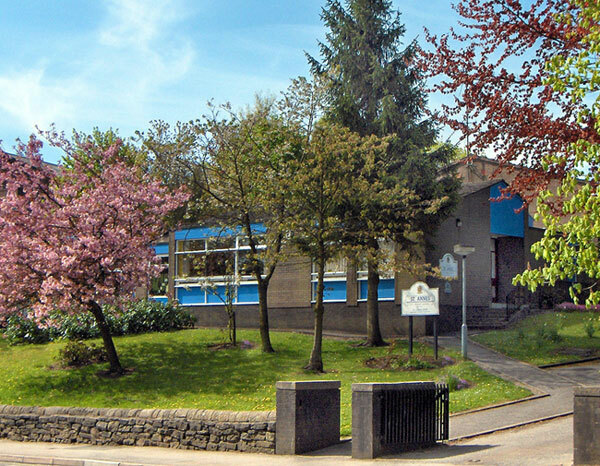 St Anne's is an above average size primary school with 330 pupils ranging from four to 11 years in age; there are slightly more girls than boys. The last Ofsted report confirmed that the school was good and reflects its mission statement well 'to lead our children to be like Jesus.wise, honest and fair, today and every day.' It is effective because staff, governors, pupils and parents contribute enthusiastically to the life of the school. Pupils of all abilities and ethnic backgrounds are well taught and achieve high standards in all aspects of their education. The quality of teaching is good because enthusiastic, caring teachers provide pupils of all abilities with interesting and challenging tasks. 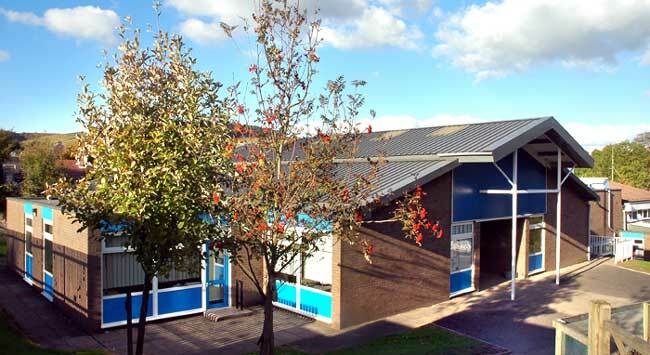 The headteacher provides very good leadership and is well supported by a conscientious team of staff and governors ensuring the school continue to improve. On Monday, April 25th, the school was opened and placed under the patronage of "Our Lady of Good Counsel" which feast day fell on the following day. The school opened with 48 children.
" From little acorns to Great Oaks "
Revd Mother Mary Elizabeth Boosey and Sr. Mary Aquin Clarke of the Presentation Convent, Livesey Street, Manchester visited Buxton in the summer of 1896, Sister M. Aquin having been advised to do so by several doctors and friends, especially her own Superior, the Right Revd J. Bilsborough, Bishop of Salford and the Right Revd Dr. Carroll, Bishop of Shrewsbury, as she suffered most severely from rheumatism. Sister benefitted greatly from the pure air and mineral waters. While at Buxton they became acquainted with the Very Revd J.T. Hoeben and Rector of that mission, he proved a valuable and revered friend to both. This was Fr. Hoeben's first acquaintance with Presentation Nuns. 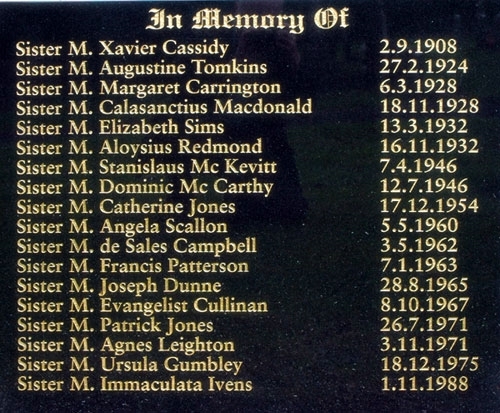 On January 26th, he wrote to Revd Mother stating that the School Management and leading members of the Congregation wished him to ascertain on what terms the Presentation Sisters would come to Buxton. Revd Mother to the surprise of all, read to the Council a letter from the Very Revd J.T. Hoeben headed "Victory" stating that at last after twelve years battle, he had obtained the Victory over the school board, his school was recognised by the Education Department - as "necessary" and would from that day be certified to earn the various grants paid by Government for the maintenance of Elementary Schools. The Bishop not only sanctioned the foundation as a Branch House but insisted it should only undertaken for three years at first and at the end of that time all pros and cons to be reconsidered and if the Sisters could still be spared from the Mother House and the new house promised success, fresh agreements should be drawn up and he would hear of the foundation on no other conditions. 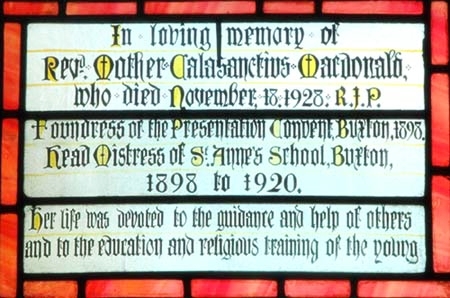 Mother Mary Austin Thompson, Sr. M. Margaret Carrington and Sister M. Stanislaus McKevitt were selected as Sisters to make the foundation but afterwards Mother M. Calasanctius Macdonald the appointment was confirmed by the Bishop. Forms of agreement were drawn up for the regulation of the school and community life. The following are copies of the same. Form of Agreement made between the Right Revd J Billsborough, Bishop of Salford and the Revd Mother of the Presentation Convent, Livesey Street, Manchester on the one side and the Right Revd G Bagshaw, Bishop of Nottingham and the Very Revd J.T. 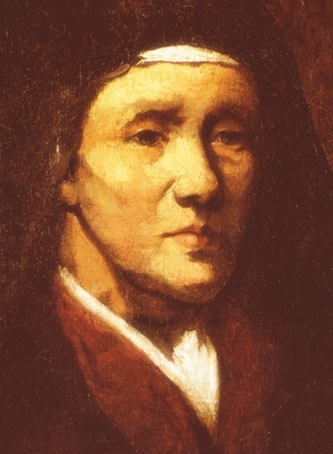 Canon Hoeben of St. Anne's, Buxton, on the other, for a foundation of a community of Presentation Nuns at St. Anne's, Buxton. First Religious Report: The following is a copy of his report.
" This school has made the most wonderful progress. The greatest credit is due to the Managers and Teachers. The children are bright and seem to take a great interest in their Religion. I have never seen a school that has made such progress in so short a time. The new teacher - nuns - have only been there six months. " Give all - pour it out. Last, but not least, a presentation by the Associates. Our God was THANKED, PRAISED and CELEBRATED. Kaoma Zambia Children's Aid, gifted from the Presentation Associates in England. 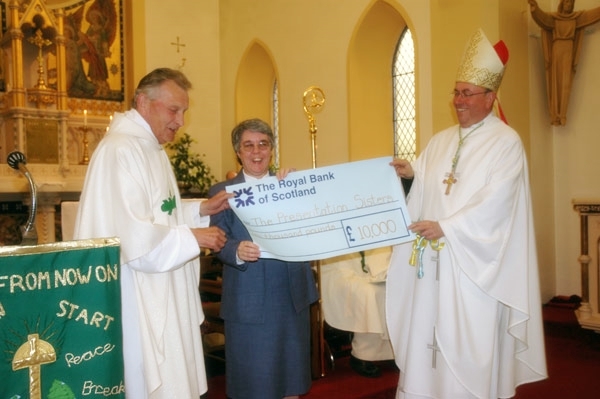 The project begun in August 2003 has raised the sum of seven and a half thousand pounds. Six thousand of this has been sent to Sr Vainney. This is thanks to the great generosity of the Presentation Associates, their families and their friends. We Presentation Associates have begun this work and we must continue, wholeheartedly, fostering the project. We affirm each other in mutual support and pledge ourselves once again to working together for the Children of the Fuller village. Nano Nagle brought joy and hope to the poor and neglected children of her time. We are invited to reach out to the poor and neglected children of our time.